Building quality email list is a vital skill and asset all internet marketers must develop and focus on. It is the life blood of any online business. So if you’re not building yours, you better start right away. It has been proven to be the most effective channel of marketing that gives you the ability to be able to reach your customers easily. 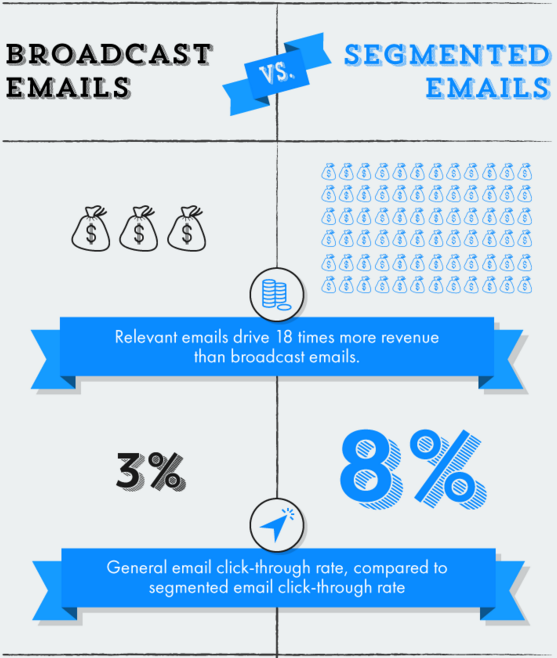 Now think about it, does Email Opt-in Strategies worth paying attention to or not? Yes, and I assume you say the same. Because it gives you influence to be able to drive to your messages to your customers. This includes sales, promo, reviews, updates and any other vital information’s that will get them in touch. So therefore the power of email cannot be overlook and also the method and channel of getting it. Knowing this fact, it has now become more difficult to get quality email address due to email opt-ins that is dropping across the board. Does this mean you won’t be able to get quality email opt-in again? Most people are skeptical in given out their email and the reason is because of the emails they get bombarded with in their inbox. People get a lot of emails they did not subscribe for thereby causing information overload. This and many more has made it very difficult to get email address from visitors easily. So for people to give you their email address and also get engage with your messages it will take a willing heart to do. Using Email Opt-in Strategies effectively will make them resonate with you and you will be of value to them. 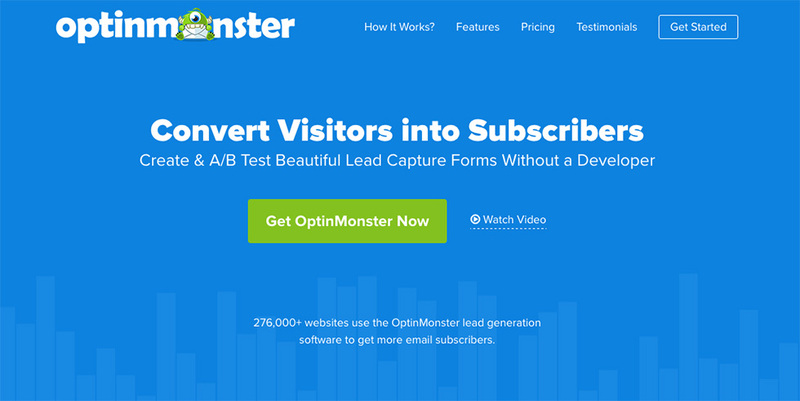 And that is the reason why lead magnets come into play in getting visitors to opt-in. Lead magnet is an ethical bribe, for it to be effective and accepted it has to be of value and must be unique. So, when you’re willing to give out something that your visitor craves for, it will influence them to give you their email address. But how do you know what they crave for? These effective Email Opt-in Strategies below will give us the answer. Interests are what make people to be attracted to you. It starts from the quality or power in the content that the person has or can dispose. 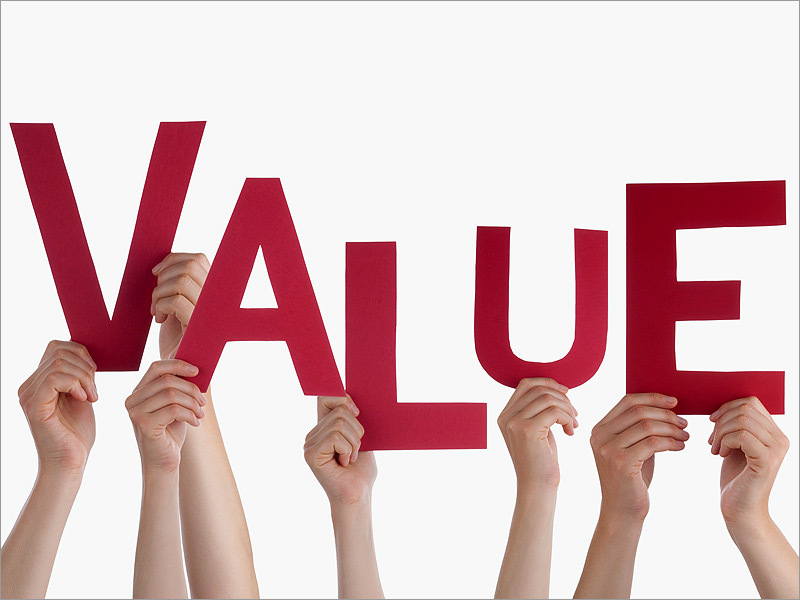 This quality or power are usually value or benefits in the content. If you have a channel (mostly blogs) to always deliver that valuable content through to your prospect they will perceive you as a solution provider. Delivering through blog is very effective mostly when you have a consistent traffic. And to have this done effectively you must know your audience interests or what they care about. So, what you will do is to check the number of times each article is been viewed, number of comments and shares. Look at the traffic stat over a period of time to know the topic your visitors care about. If you’ve figured out the topic through the stat, write it down and create an irresistible offer around it and get it promoted on your site or blog. Or make it to be a content upgrade. This type to offer will be interesting to them and make a very good lead magnet to get visitors to opt-in. The values or benefits of what you’re giving should be attached to their interest. And that’s what will make them to trade their email address for it. The above channel will only work for those that already have consistent traffic. But how about someone that’s just starting out? Search for authority site in your niche, check what they place on their site and model after it. If you look at those authority sites, you will easily get their lead magnet from Home page. Take a look different site and write down what you like about their lead magnet. It is good to select about 7 or 10 site check out what most of them are doing, how they craft their lead magnet and get your own idea from it. Remember, you have to be creative with this method or else you won’t be able to get a reasonable thing done and might ends up copying what they have. And if you’re perceived to be a copycat they won’t resonate with you which is bad and will affect you. What is the Value of your offer to your Subscribers? 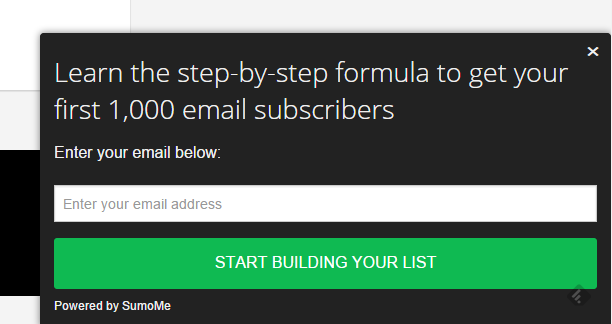 Most lead magnet promise vague offer and that is why when a visitor subscribe you see them unsubscribe again from their list. When you’re creating a lead magnet, make sure the lead magnet is an offer that is unique and will be beneficial to your visitor. It can be in any format, the most important thing is to deliver value and let it be beneficial to the visitor to make the visitor crave for more and see you as a solution provider. Also let your lead magnet be an action base offer, something the visitor can put to use immediately with guide or instruction to get their desire result. So, if you can make a big difference in the visitor’s life in such a short time it will make them to resonate with you and always be on the lookout for your mails. And that’s what creates a high open rate to your mails. Is this not an effective Email Opt-in Strategies ? It is very important to know how to request for visitors email so as not to make them turn your request down. You will agree with me that if you visit a store and you’re been chased around with their latest product and compelled to buy you will get piss off and probably work away from the store. Same thing does happen when you want a visitor to give you their emails address. Requesting for it strategically matters and also determines if they will give you or not. There are so many ways to ask and collect their emails address from without you bugging the visitors. Let’s quickly dive into it. Pop-ups on website are great method of collecting email signup. It is an amazing way but also very dangerous too. 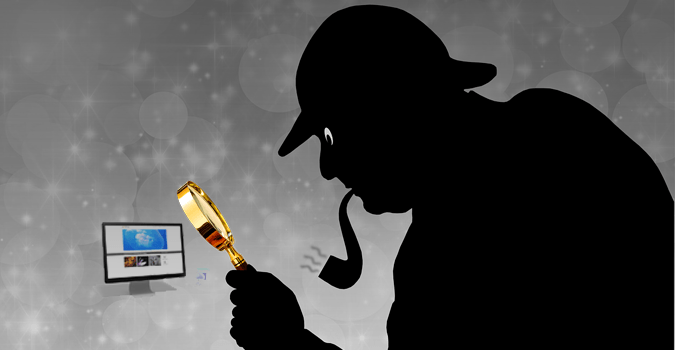 If you don’t know how to use it effectively it will do more harm than good to your website. Which means your site will have more of a high bounce rate. Been abandon by every visitor. Bounce rate is an average time spent on a post by the visitor on a site. Mind you, using pop-ups correctly will get you more conversion if your content delivers value to the visitor. 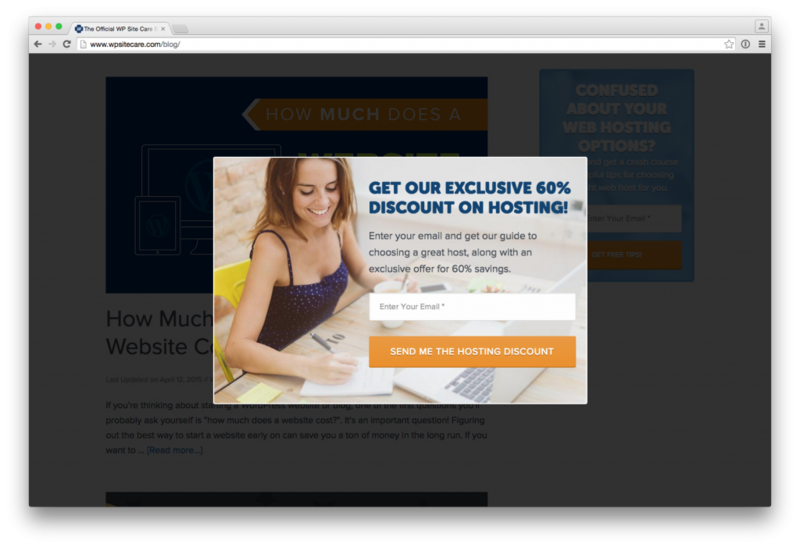 Some readers don’t tolerate pop-ups, once they see it they will opt out. But that does not mean that pop-ups is bad or don’t work. Majority of the visitors that will opt out in most cases is always minimal compare to those that will stay and even signup. Pop-us can be serve when a page load or at the exit intent of a visitor. It depends on what works best for your site. So you’ve to test it to know, but I will advise to test the 2 strategies and see the one that work best and apply it. For the opening it is always good to have it deliver about 12 seconds that the page is load. And for the exit it should be when the user intends to close or leave your site. Also note that the frequency at which the pop-ups show when the visitor open a page matters. If the pop-ups keep opening at each page that the visitor open it will get them irritated and cause them to abandon that site. Also, make it easy for the visitor to close the pop-ups if they wish. If it is hard to close most visitor will leave the site. But if they find it easy to close, get value in your content they resonate and opt-in to your request. Another method of collecting email is using pop-up slide-in form. Pop-up slide in page are usually position at the bottom right side of the page for the visitor to see. This method is to grab the attention of the visitor without disrupting to get them do what is requested on the display form. They are very good on desktop as an option for display because they on take small portion of the screen and don’t interfere while reading the post. Most cases it is not advisable to be use on mobile because sometimes it block the post been read and that can frustrate the reader. So, if you’re to use in on mobile, I will advise you have it tested first and see how it will look like. This are one of the Email Opt-in Strategies most people miss. 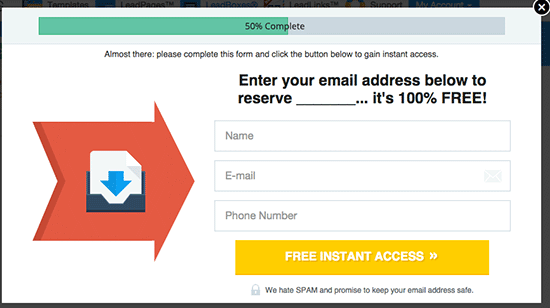 Opt-in form is essential in capturing email address of visitors when they are on your site. It is a very good strategy that converts if it is well crafted. Meaning the headline must be attractive to grab visitor’s attention and the offer must be value driven with perceive benefit. There are two types of tools that are mostly use and effective in collecting email address on website. They are static method tools and pop-up method tools. Static method is by using a design opt-in form by a web developer or use the one provided by email marketing company like Getresponse, Aweber, Mailchip etc. But remember, you have to modify the template to suit your message. Another type of email collection tools is pop-up tools and they have a higher conversion rate compare to the static opt-in form. These tools are specifically design for pop-up and work effectively with WordPress. LeadPages is one of the most detailed email collection tools. The tool is very efficient and well design. Although it cost more than other tools, but it worth it due to other functions available on it. These functions include high converting landing pages. There are different plan you can go for starting from basic depending on your need. 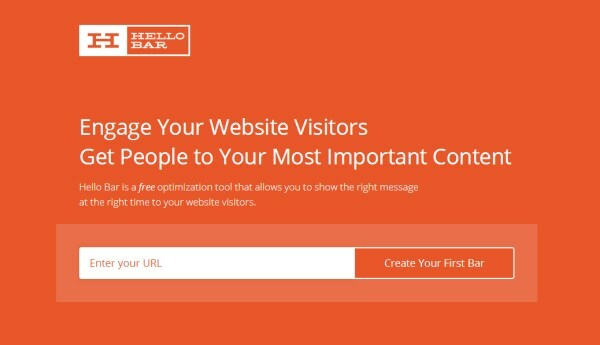 Hello bar has a lot of features to capture emails address and the good thing about it is that even the free plan has a lot of features. It is very easy to use and very attractive. This is another good tool that is easy to use and also very cheap. The basic plan is about $49 per year and has unlimited Opt-in forms with Split Testing features. It is user friendly and very easy to use by a newbie. Sign-up form positioning matters and affects the rate of conversion. Although using the side bar is still necessary, but it is better to consider adding other position for a higher conversion rate. There are 3 other places known to convert better, they are the Home Page, Inside the Blog and About Page. Let’s take a look at those places. Home page is where the majority of every site visitor always ends. It is the page that gets more of clicks compare to other pages. The reason has been that most visitors land on a site through links that takes them to a particular content. After consuming the content do like make inquiry which now land them on the Home page. That’s why it is advisable to have a feature box at your home page that will be above the fold with a call-to-action. Blog post is where majority of visitors go to consume content. Therefore wisdom demands to have your call-to- action in your post for opt-in. Placing offer within the content convert higher and the most effective position is the bottom part of each post. After consuming the content it will get the visitors attention with a call-to-action to opt-in. Conversion becomes easy when visitor consume quality content. The quality of the content is what persuades visitors to opt-in in assumption that the offer will be of a better quality. But for visitors that did not read the blog post to the bottom how do you attract them? You can configure a pop-up to show after some time (12 sec) or have a leadbox after some paragraph of the post to ask for opt-in. Or use a link to trigger your pop-up manually. Apart from the Home page the About page is the next page that get more of traffic. Visitors are always inquisitive when they visit website. After checking the Home page they will usually go to About Page for more enquiry. Their motive in most times is to know the credibility that you have and your background. So, strategically positioning your sign-up form on your About page can be of great leverage for a higher conversion. Also, another cool method for higher conversion is to shot a high quality introduction video talking about you, your experience and achievement. These are some of Ninja Email Opt-in Strategies not commonly use but very effective. Place on your About page and put a comment box below it asking visitor to comment. Video format is more interactive and perceive to be real than text. And that make it to have higher conversion rate compare to text. But if you can’t do video it’s totally cool to have text but make sure it is rich and don’t lie. This Email Opt-in Strategies can give you a higher conversion rate if you will take the concepts and strategies to work. Also don’t forget to always optimize and see how your audience are reacting to any specific tactic you implement. And always make sure that each technique is insanely easy to see and take action. Let’s assume you apply this tips and get 20,000 visitors per month with 2% conversion into your email list. Your opt-in rate would be 400 subscribers a month which equals or 4,800 per annum. And if you treat these subscribers well by delivering core value that’s beneficial to them, won’t it be easy for you to grow your list? Let me know in your comment below if you’re implementing this method or will implement it. PS. Please I need your help to spread this article by hitting the share button below if you find it valuable.